The name Kwanzaa means “first fruits” in Swahili and is a seven-day celebration of African-American heritage, community, family and culture based on the rituals of African harvest festivals. Kwanzaa is unique, because it is a social holiday with no religious, political or heroic association. Kwanzaa culminates with an African feast called Karamu on December 31. 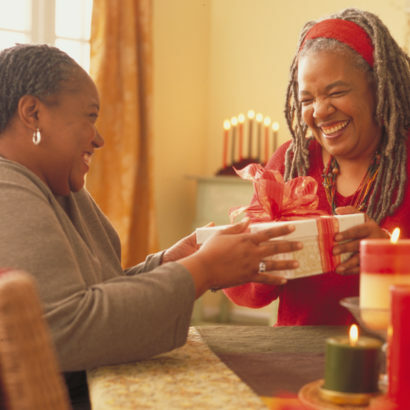 Kwanzaa was created in 1966 as a non-religious holiday to strengthen the bonds of cultural identity and community among all people of African descent. Celebrations vary from family to family, but generally include singing, dancing, playing African drums, storytelling, poetry reading and eating a large traditional meal.